When I think of summertime evenings, I think of sitting out on a patio/deck, enjoying a tall glass of sweet tea (or a cocktail :) ) and watching the fireflies play. This cocktail is the perfect way to end a hot summer evening, sitting outside, enjoying the fireflies and other summer fun! 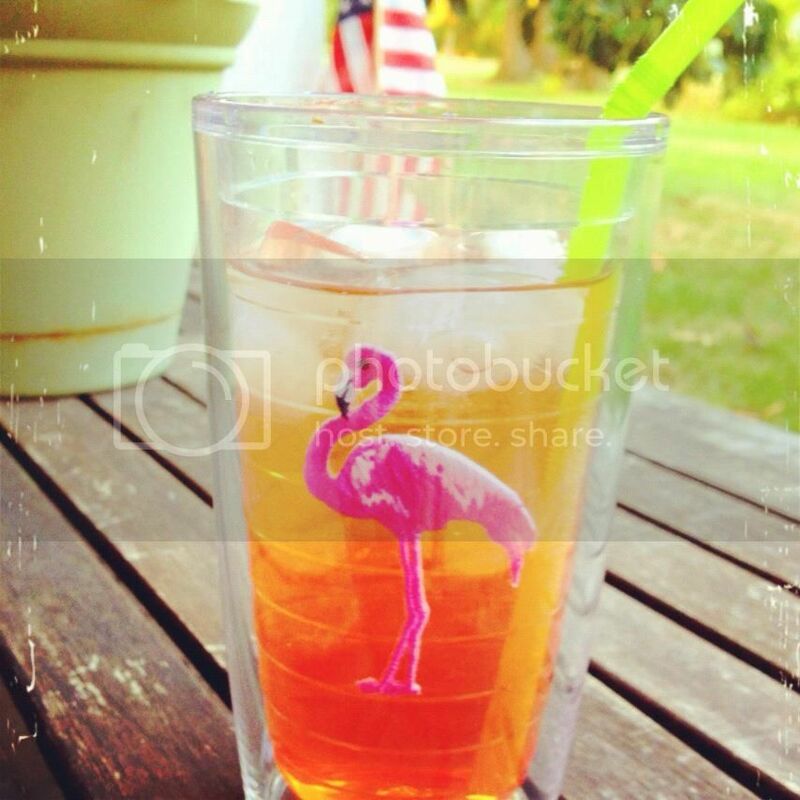 Mix ingredients in a cute summery tumbler with ice. Add a fun straw and then enjoy! The other day I was thinking about different songs that remind me of summer, and that I like to listen to in the summer. A lot of them talk about summer, or have a beach hut type vibe. I made a playlist of some of my favorites, and wanted to share with you so that you too could enjoy during our last month of summer. Just stopping by to let you know that I mentioned your blog/post on the Cherry Salsa in my Pink Saturday post for this weekend. I just realized you are a Jen. I'm a Jenn (or Jen or Jenny or . . . the list keeps going sometimes). When I was by last weekend, I meant to tell you I love your header photo. Don't know if I mentioned that or not. The recipes on this post sound mouth watering and refreshing! When you mentioned summer time songs, I instantly heard the lyrics/tune to "In the Summertime" . . . I had to look it up - Jerry Mung - a song from the 70's. It always tunes up in my head for summertime tunes.